Random And Some: "He's from a small town. He can't run. He can't jump. He can't play against bigger guys. He's a step slow. He can't play defense". "He's from a small town. He can't run. He can't jump. He can't play against bigger guys. He's a step slow. He can't play defense". 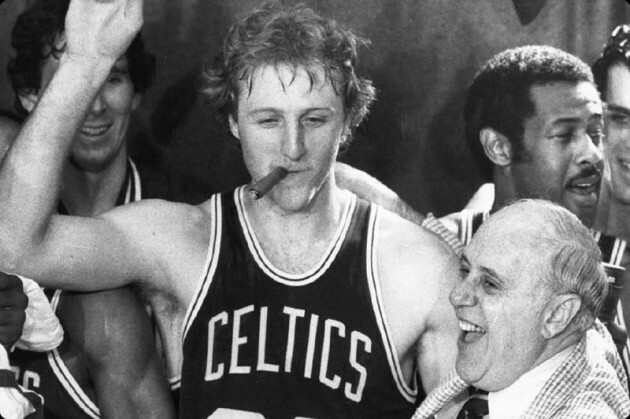 Hall of Famer Larry Bird is my spirit animal. The self-proclaimed Hick from French Lick is, by quite a large margin, my favorite NBA player of all time, what with his work ethic, moustache, trash talk, court vision and ultra-competitiveness. Selected with the No. 6 overall pick by Celtics patriarch Red Auerbach in 1987, after which he played out his final season at Indiana State instead of making the jump to the pros, Bird carved out a lofty career for himself. The West Baden, Indiana native became a three-time NBA Champion, reeled in three MVP Awards and was named an NBA All-Star twelve times, all the while producing countless and averaging 24.3 PPG, 10.0 RPG and 6.3 APG over a 13-year career that was unfortunately cut short because of debilitating back problems. Drive: The Story of My Life (1989) chronicles Bird's life and career up to the 1989 season. Larry Bird is a different animal. Few have had his work ethic, dedication and success, but for many years, the silent superstar was an enigma wrapped in a riddle surrounded by mystery. Bird finally broke silence with Drive, a collaboration with American sportswriter and basketball guru Bob Ryan, to offer a look into his past, present and future -- in 1989, that is. The books reveals a side of Bird never before seen, including, but not limited to, his decision to transfer from Bobby Knight's Indiana University to Indiana State, the heartbreak of his father's suicide, his own failed marriage and of course life as a Boston Celtic. Whatever challenge was thrown his way, No. 33 refused to let it stop him, using his tough background to fuel his fire and become one of the most well-rounded and accomplished players the league has ever seen. 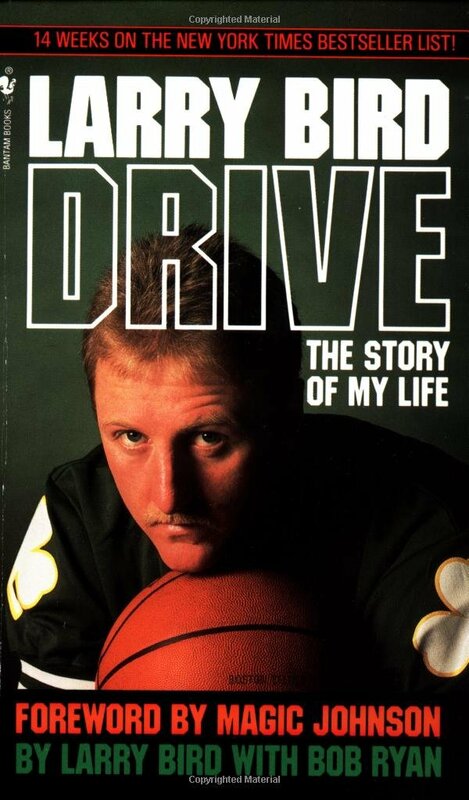 Even though it wasn't nearly as eloquent as When the Game was Ours, Bird's book with Magic Johnson, I still enjoyed Drive a great deal. Taking you through his darkest and brightest times, him and The Great White Hope leaves no stone unturned, painting a wonderful picture of how hard work can change your life.